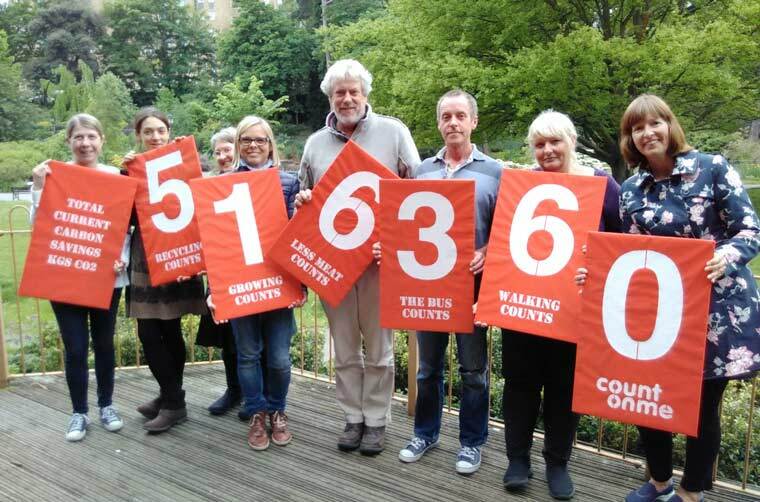 Since the Count On Me campaign began, Bournemouth residents have saved over 500 tons of CO2 emissions to help protect the future of the town. The Count On Me campaign, launched in June 2016, has had a very productive year. The people of Bournemouth have keenly participated in cutting carbon emissions, to help protect the future of the town, and the planet. The good news is that a damaging 516,360 kgs of CO2 has been saved from the atmosphere, an amount that would have filled Bournemouth Balloon fifty times over! The Count On Me team of volunteers has been out and about encouraging thoughtful low-carbon choices for ways to travel and change purchasing habits. Much discussed were locally sourced items, meat-free days, local food growing and public transport as fitting ways to combat the impacts of climate change. Each of these activities and choices has a numerical value attached to it representing the amount of CO2 equivalent that could be saved over a year. Once added together collectively it can be seen that every action moves people in the right direction towards combatting not just climate change but social inequality, environmental degradation and unsustainable consumption. Sustainability communicator Angela Fendley FRSA designed the campaign and has run it with the support of Transition Bournemouth and the BH Green Group, with funding from Green Goals. Bournemouth Borough Council has backed the campaign and supports the need for improved climate literacy. Events covered by the Count On Me team over the year began with Winton Carnival in 2016, and have included Christmas at Bournemouth Square, Students Union Green Week at Bournemouth University, a powerful user-friendly presentation to the Wessex Energy and Environmental Management Group, and taking part in Volunteering Week at the Bournemouth and Poole College. If you would like to to find out how you can reduce your emissions, visit the Count On Me website at www.countonme.today. The Count On Me team will also be at the Slades Farm Family Festival on 16 July and you are invited to join them in the Community Garden and be counted, and see how your actions make a difference.